This sheet is packed with spooky books, spells & potions and mini potion labels. Exclusive to Alpha Stamps by Artfully Musing. 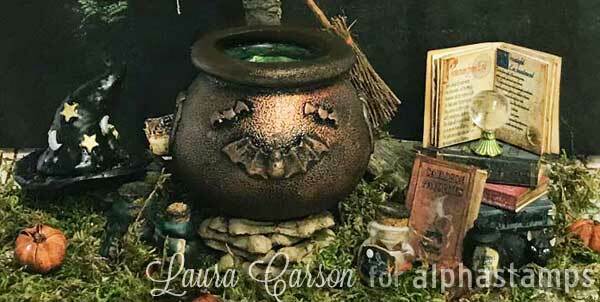 Design Team Member Laura Carson made a Witch in the Woods scene (see the wide photo below). More info in the blog and/or see the supply list.